Need A Business Plan Template? HERE IS THE SECRET TO WRITING A PROFESSIONAL BUSINESS PLAN INVESTORS WILL LOVE! The Business Plan Toolkit is the fastest and easiest way to put together a successful business plan that will get results! 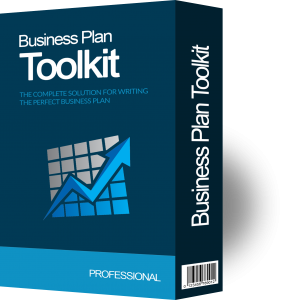 This package includes a REAL business plan with a professionally formatted layout and all the important sections you need to include in your plan. All in editable Word format so you can simply plug in your own info or edit it however you wish! –	More flexible than the business plan software tools. –	Faster with pre-built templates…just fill in the blanks! –	Actionable tools instead of some boring “how to” business plan book. –	Easier…much easier than building a plan from scratch. –	More affordable than virtually any other total solution you will find! Imagine completing your business plan in a few hours instead of days or even weeks of work. Is your time valuable? Just think how great it would be to have everything you need to put together a professional business plan at your fingertips (including financials), so you can sit down, plug in your info, and get back to focusing on your business…without all the hassle.